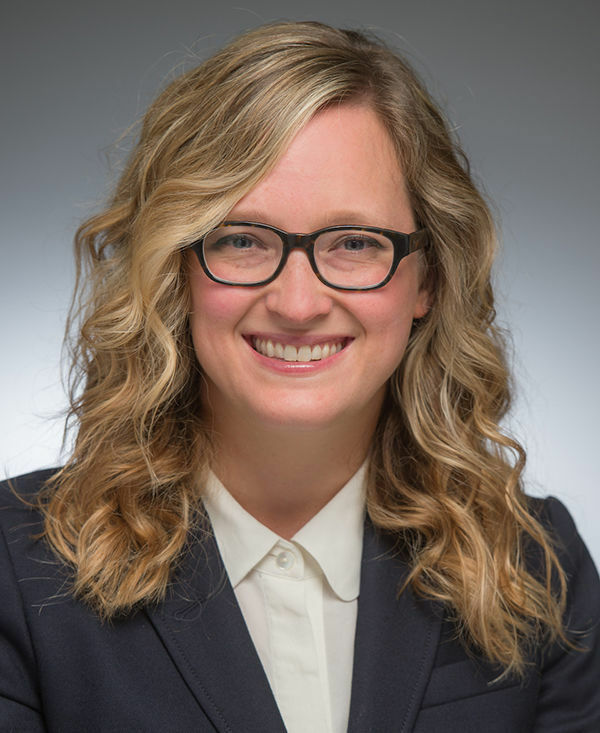 An examination of one of the 20th century’s most important Catholic theologians has garnered a significant honor for Jennifer Newsome Martin, an assistant professor in the Program of Liberal Studies. Martin, who holds a concurrent appointment in the Department of Theology, is one of 10 people worldwide to receive the 2017 Manfred Lautenschlaeger Award for Theological Promise, presented by the University of Heidelberg’s Forschungszentrum für Internationale und Interdisziplinäre Theologie (Research Center for International and Inter­disciplinary Theology). Martin received the award, which honors outstanding doctoral or first post-doctoral works in the area of God and spirituality, for her book, Hans Urs von Balthasar and the Critical Appropriation of Russian Religious Thought. Balthasar, a Swiss theologian and Catholic priest who died in 1988, is often seen by critics unevenly, Martin said, as either ultra-conservative or too innovative and speculative. Martin, however, sees Balthasar as much more moderate in his thinking, especially about the relationship between religion and culture, which she articulates by examining his analysis of three influential 19th-century Russian Orthodox theologians — Vladimir Soloviev, Nikolai Berdyaev, Sergei Bulgakov — alongside 19th-century German Romantic philosopher F.W.J. Schelling. While Balthasar often affirms some of those thinkers’ ideas, his analysis, however speculative, remains fundamentally constructive and opens the conceptual space for theological engagement with Western philosophy, literature and art, Martin said. “The Balthasar who emerges from her study is neither hopelessly nostalgic about a past Christian era nor so audaciously creative as to be unorthodox in his theology; he tirelessly journeys into unexpected intellectual arenas in order to make tradition living, dynamic, and responsive to the concerns of our age,” he wrote. Martin will travel to the University of Heidelberg later this month for a colloquium with the other award winners where they will discuss their latest research projects. Martin’s current book project is tentatively titled Poeticizing Tradition: A Literary Genealogy of Ressourcement Thought. In it, she looks at certain Catholic theologians of the ressourcement movement, including Henri de Lubac, Jean Daniélou, and Hans Urs von Balthasar, who retrieve the sources of early Christian thought and translate it in ways that made it more accessible for and compelling to members of the Church. She examines how a number of poets, particularly French poet Charles Péguy, figured into the period’s thinking about tradition. “It’s an incredible honor to be a part of this group,” Martin said. Originally published by Brian Wallheimer at al.nd.edu on May 10, 2017.